13mm Non absorbent compressible grey closed cell polyethylene foam backup material. Draft proofing & acoustic Work. Does not stick to sealants. 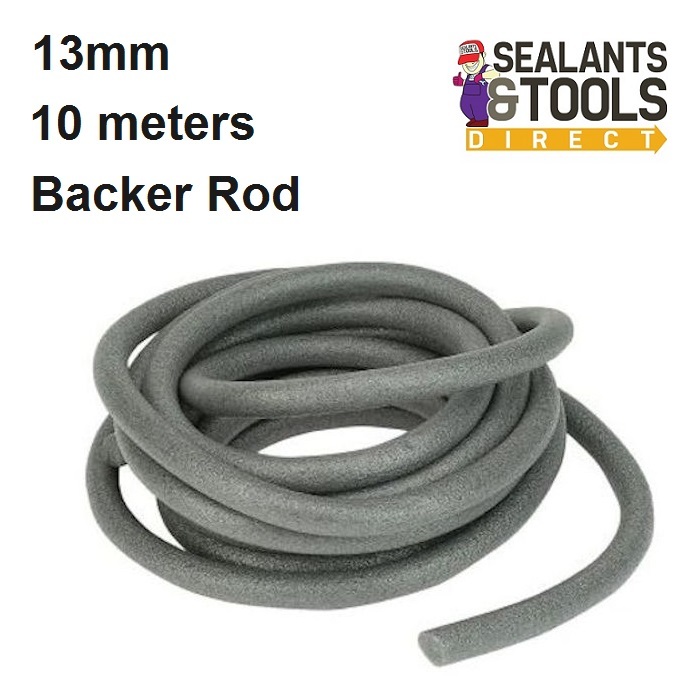 Select a backer-rod diameter that is approximately 15 to 25% larger than the width of the joint to give a firm base.